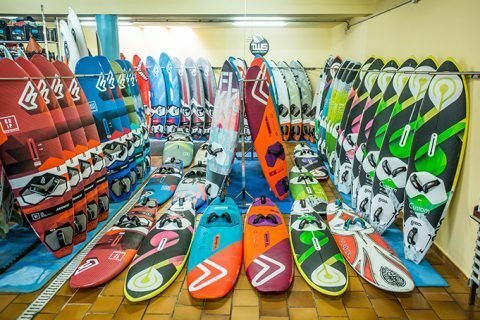 Test, race and rental centre with the latest wave, freeride, freerace and race gear from the 7 most popular brands; over 90 boards, including more than 12 high-end slalom kits (Fanatic Falcon and Duotone Warps) available during the winter season. More than 250 sailable days per year, with nice water temperatures, so a shorty or summer wetsuit is all you need. The winters (Nov-April) are especially good in Medano as we have over 75% of windy days and temperatures around 22-26 ̊C! South bay – freeride and bump ‘n’ jump spot. Also very suited to slalom sailing. Harbour Wall – The best spot for safe and nice wave rides. Cabezo – PWA World Cup wave spot for wave riding and jumping. Always the latest kit from the most popular brands. Boards: Fanatic, JP, Goya, RRD, Tabou, Quatro, Starboard, Severne, Flikka and Witchcraft. Sails: Ezzy, GA/Gaastra, Goya, KA-sails, Duotone, Flight Sails & Severne. Masts and Booms are all 100% carbon and a lot of slim/skinny booms. Private tuition and lots of clinics with professional coaches. Please check with us for group rates, clinic weeks and training camps. TWS also provides during the winter for 4 days a week the famous TWS Pro Slalom Training; a full downwind slalom course with race director. 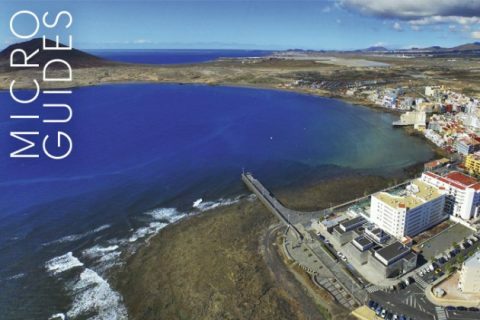 We offer the best apartments in Medano, super close to our centre. Check www.apartmentsmedano.com for more info.